Find hotel near Biserica Sfantul Antonie- .. This is the oldest church in Bucharest, completed in 1558 by Prince Mircea Shepherd, who was eventually entombed over here. For the next two centuries this was where Romanian Royals were coronated. The church's Mystique was especially enhanced when in 1848, when the massive fire of the city burned the church but left the icon of St. Anthony entirely untouched. Architecturally, the church has some Romanesque influences. Check out the neo-Renaissance frescoes. You will usually find it crowded with devotees of St. Anthony. Don't visit on Tuesday, unless you really want to feel the crowd. Hours given our approximations based on user reviews. Call the church to confirm timings ahead of your visit. How popular is Biserica Sfantul Antonie- Curtea Veche? People normally club together Muzeul National George Enescu and Cismigiu Gardens while planning their visit to Biserica Sfantul Antonie- Curtea Veche. Beautiful little church with amazing architectural detailing - you. An go in and enjoy the serenity but try and not be that tourist who has no respect for local culture and other people - enjoy the space don't disturb it!!! Very nice old church. Paintings inside are very beautiful and the atmosphere is very silent. Spiritual place in the heart of the crowded city where you can pray and take a spiritual break. Very nice church for pray! and very nice place to visit! they also have pray schedule during the evening. An interesting church to go in. Went on a Sunday and it wasn't too busy. 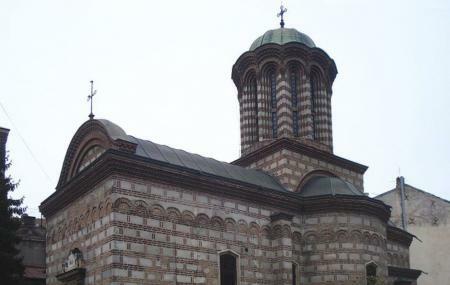 One of the most important and worth visiting east European orthodox churches in Bucharest.